This Long Leaf Fig is a type of Ficus with narrow lush green leaves. 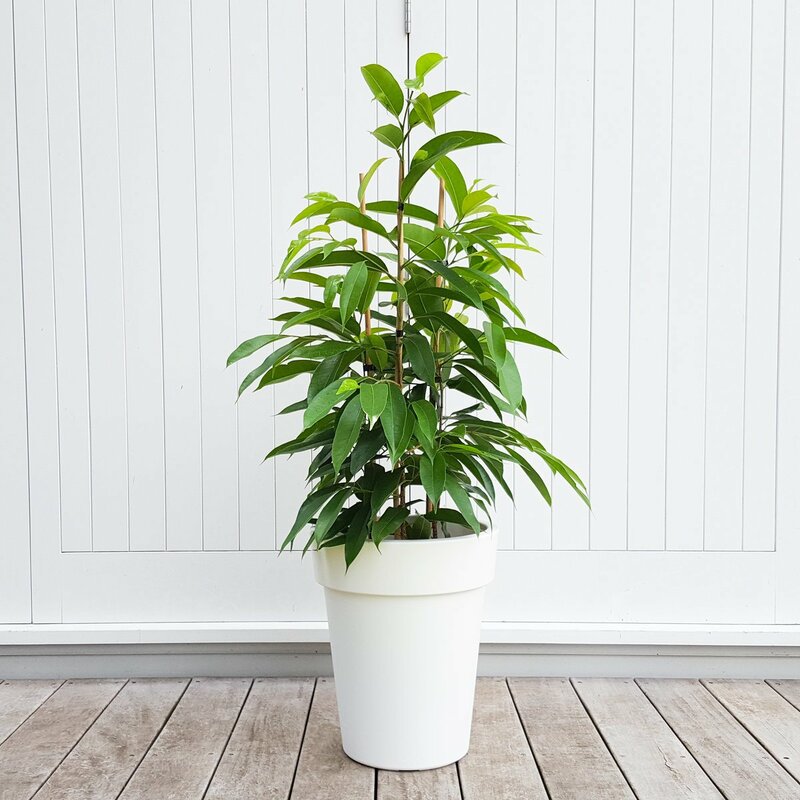 This specific variety – Ficus Amstel King – likes moderate humidity and weekly watering. It will thrive in a bright north facing room with a little morning or evening sunlight. We’re paired this plant with a tall warm white pot, classically modern. The pot is made of lightweight plastic with a lovely matt finish. Pot dimensions: 35cm diameter x 41cm tall. The height of the plant and pot combined is approximately 90cm – tbc.